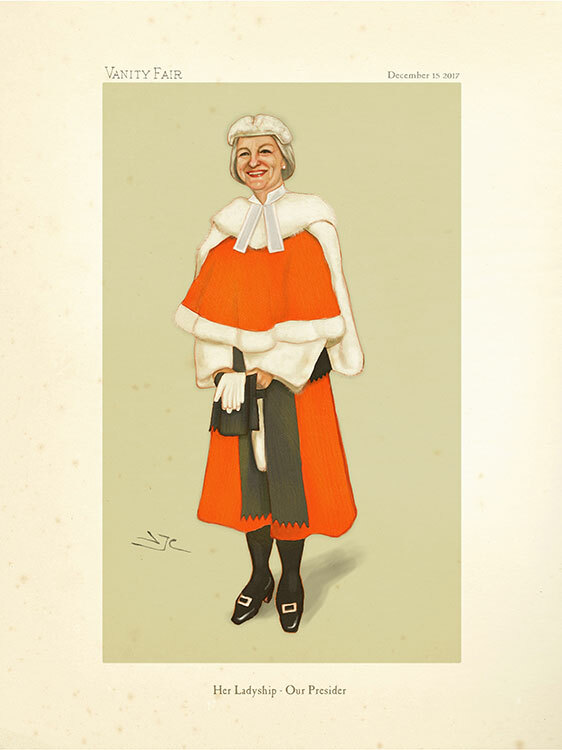 I was commissioned by the staff at a crown court to create a Vanity Fair ‘Spy’ style portrait for a high court judge who was standing down from her post as Presiding Judge. It was presented to her at her farewell evening. The response was as follows: “I was taken by complete surprise and was overwhelmed when I saw the painting. It is such a tribute to Amanda’s talent and skill, and all done from a photograph…amazing.